In the driest state on the driest continent water is, as you can imagine, the most precious of commodities. To be entirely honest, Adelaide has a wonderful climate but in summer we can go for many weeks without a drop of rain. 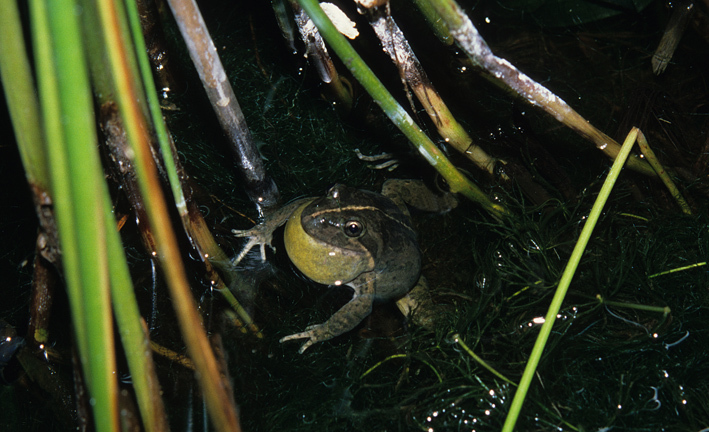 During this time the few spring fed creeks that flow down from hills become a refuge for a wide variety of wildlife. Frogs, native fish, fresh water crustaceans, aquatic lizards and certain bird species all need this permanent source of water. 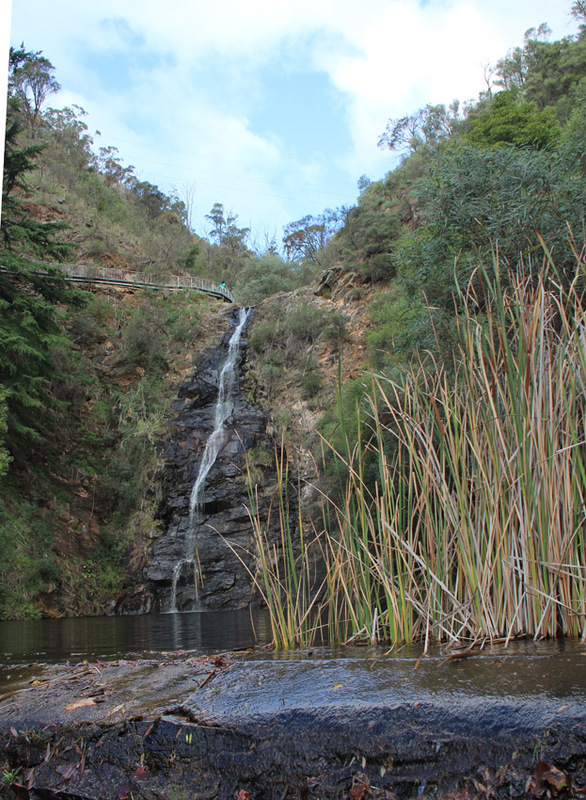 The spectacular little falls that have carved out Waterfall Gully on the city’s eastern fringe feeds one of the few environments where water dependent wildlife can survive the harsh summer months. At the foot of the falls; a restaurant, walking trails, and car parking sit adjacent to the creek making it a wonderful place for hikers, casual visitors and naturalists alike. After a particularly dry start to autumn I decided to drive out to Waterfall Gully to assess how the wildlife was coping with the conditions. A friend told me that he used to see quite lot of water skinks in the area years ago. I had only caught the occasional glimpse of the little lizards while cycling around the Torrens Lake in the city or on the banks of the Murray. This seemed like the perfect time to try to get some better images of these fascinating little reptiles. 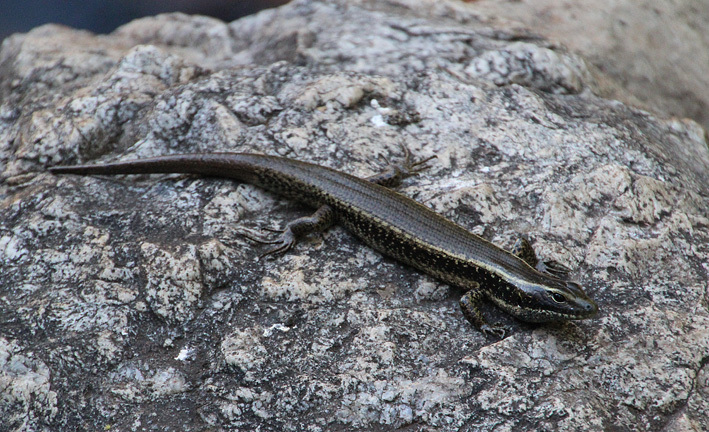 Water skinks, actually the eastern water skink (Eulamprus quoyii) grows to around 30cms in length. 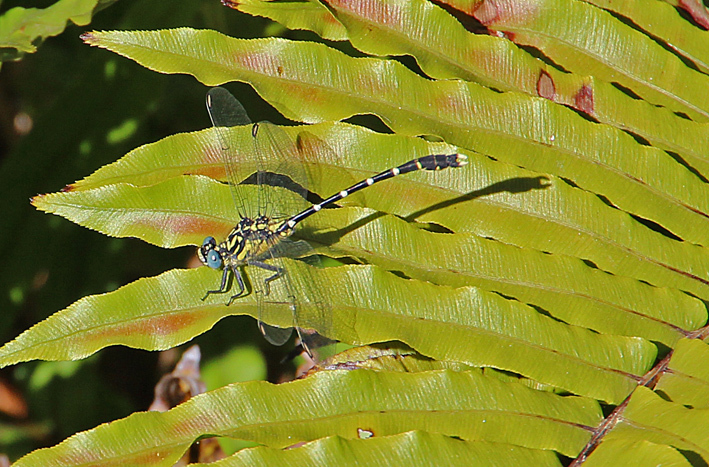 They hunt for small invertebrates in and around permanent water. These lizards are territorial and males and females look alike. Up to 9 well developed young are born in the summer. They are common prey for Kookaburras, snakes and feral cats. 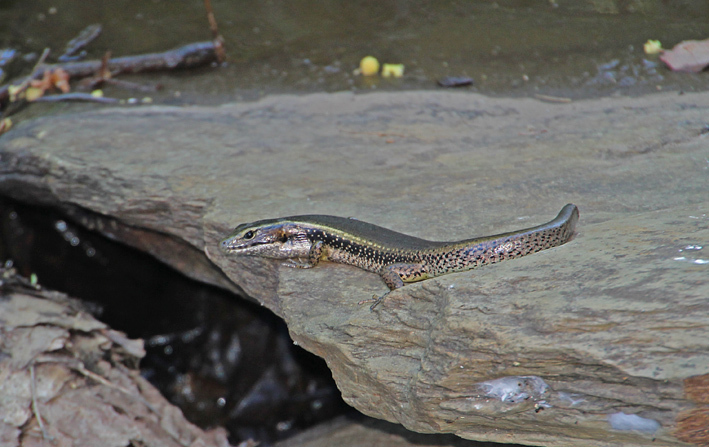 Like most skinks, eastern water skinks can drop their tail when grabbed as an escape strategy and often have shortened or partly re-grown tails. 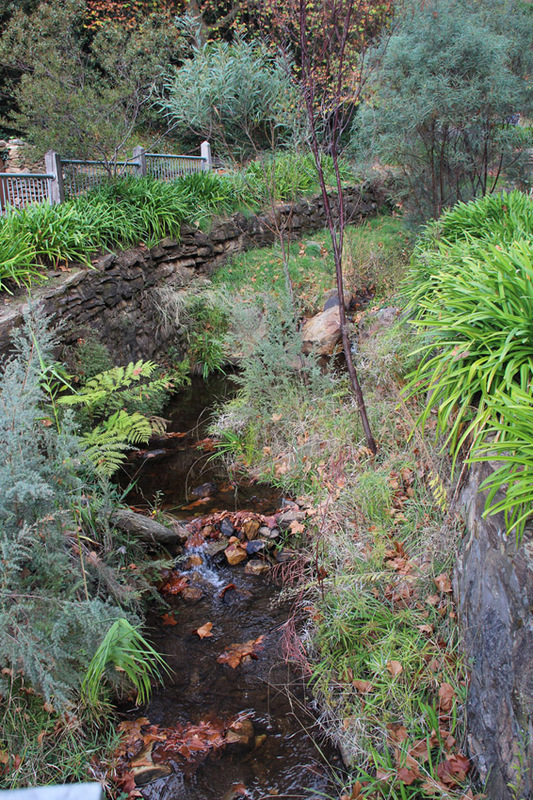 On my first trip I drove up the narrow road to Waterfall Gully and parked the car close to the creek below the falls. Within a few minutes I had spotted my first lizard. It was sitting on a flat rock in the middle of the creek and had a substantial part of its tail missing. Around one in ten of the skinks that I saw that afternoon were missing parts of their tails. 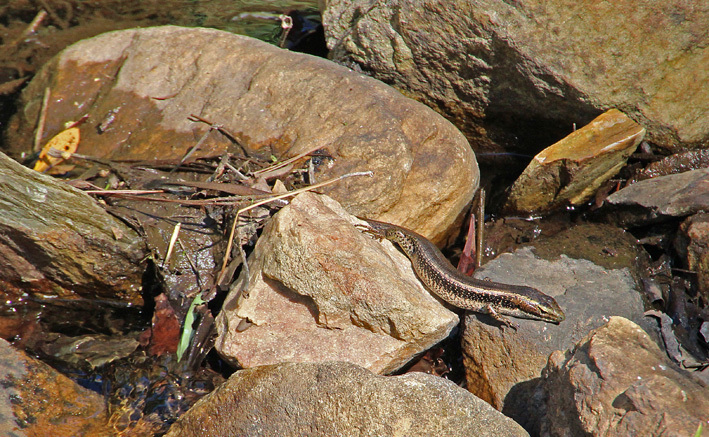 As I walked towards the waterfall I noticed that the skinks were quite abundant throughout the creek and its banks. Some were tucked into the undergrowth while others were foraging amongst leaves and twigs that had accumulated between the rocks in the creek bed. I did not see any swimming though a few were partially immersed in water, apparently waiting for prey. I returned to Waterfall Gully several times over the next few weeks to watch the water skinks and try to capture some better images. On my last excursion I sat quietly by a section of creek for over half an hour watching the lizards, small birds and insects that lived there. The wildlife had survived the ‘big dry’ quite well it seemed.